* The Vacustack chimney cap by ICP is the solution for downdraft problems related to the wind. *These caps include both the vacustack cap and the easy to install adaptor. 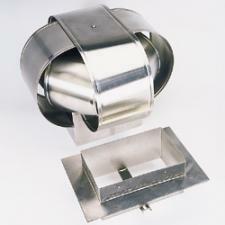 *Comes in two different sizes to fit a wide range of flue sizes. *100% stainless steel - Lifetime Warranty. *Free fast shipping and guaranteed price.